TD Friends of the Environment Fdn. The Hawk Cliff Foundation wishes to thank these organizations for their grants in support of the HCF Fall Education Program over the past several years. The hawkwatch events and ongoing site interpretation activities have been very successful over this timeframe, and with the help of these foundations we've been able to run the program for the core months of September and October...which is when we see the bulk of visitors on our two big Hawk Cliff Weekends and into October. 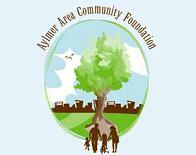 Click on the foundation logo images to the right to go to their website. 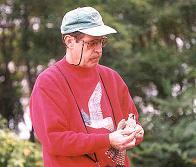 The HCF Raptor Field Guide project has proven a great success. The field guide contains 65 pages in ring bound format. It covers specifics of migration at Hawk Cliff, while at the same time providing detailed information on the 15 typical species of raptors found anywhere in eastern North America. 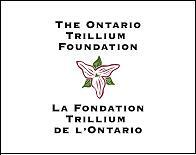 Once again we have to thank the Ontario Trillium Foundation and TD Friends of the Environment Foundation for providing the bulk of the funding. Other funding was provided by Scotiabank and the many groups and individuals listed above. Our thanks to everyone who helped with this project. Click on their logo images to the right to go to their respective websites.